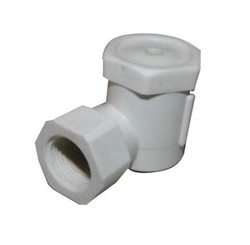 WE ARE A VERY BIG MANUFACTURER OF PP NOZZLES IN VERGIN MATERIAL. We Offer wide range of Water Filter Nozzle for filterration systen to our client. We are a big manufacturer and supplier of Umbrella Type filter nozzle / Strainer in best quality. We Are A Bid Stockist And Supplier Of Multi Port Valve Midas In Different Size. We are a big supplier of multi port valve for water n waste water treatment plant. Being a PP Aquatech, we manufacture and supply a supreme class range of Water Strainer. The offered range is very special designed using quality approved virgin material under the guidance of skilled professionals in order to follow industrial norms. These products are tested on well-defined parameters of quality in order to eliminate flaws. We offer the entire range to our precious clients at market leading prices. We are a big manufacturer & supplier of PP Spray Nozzle in best quality. Size 1/2 3/4, 1", 2"
We are a very big manufacturer and supplier of Umbrella Type PP Filter Nozzle in the good quality virgin material. We are a big manufacture supplier of Pp black filter nozzle which is use in gravity filter of water and waste water treatment plant. We are a big manufacture, supply and provide PP Sand Filter Nozzle to our clients. PP Aquatech brings to our customers the sugar mill Cooling tower spray nozzle Products required in the Sugar Mills. The plastic used in making is the best kind and very ductile as well as malleable. The products of PVC Plastics are also made to satisfy the necessities of the customers. 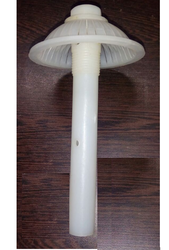 We are a big manufacturer and supplier of umbrella type Plastic Filter Nozzle or strainer in best quality. 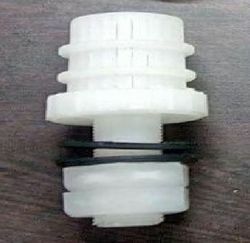 We Offer ring type pp Filter Nozzle For Water Treatment to our client.